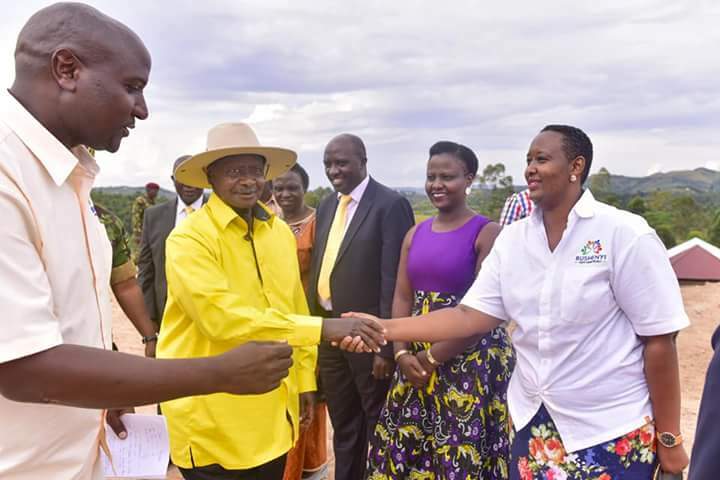 BUSHENYI – President Museveni over the weekend toured four projects in Bushenyi and thanked the leaders including Bushenyi woman MP Mary Karooro Okurut for mobilising wealth creating initiatives in the district. 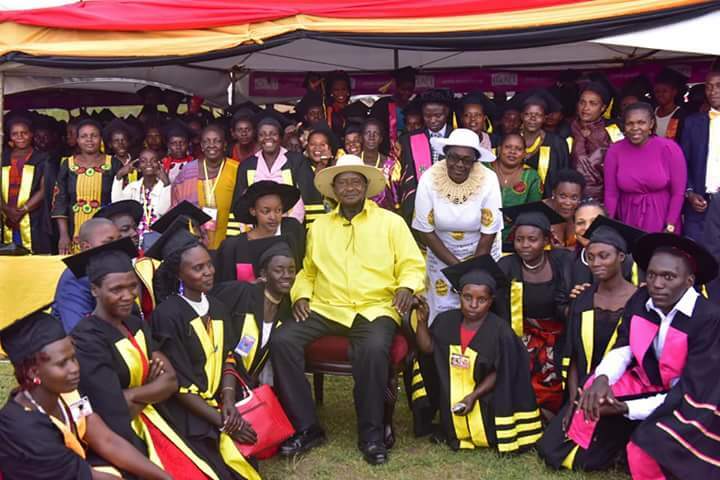 The President first presided over the graduation of 756 girls trained in various vocational courses, under the tutelage of Ms Karooro, who Minister for General Duties. “I commend Hon. Karooro for the initiative and for bringing trainers from Kampala to help the girls get various skills. My guidance is that the skills should look at critical service provision and import substitution,” the president said. The President then toured Swazi Highland Tea Company Limited in Kisingo village, Kyamuhunga Sub-county owned by Africano Bakeihwahenki. The factory produces 50,000kgs of tea daily and employs about 350 staff. He then commissioned Global Village Tea of Hassan Bassajabala. The factory employs 620 workers and produces 20,000kgs of tea per day in a peak season. 60% of the production is got from the out growers while 40% is from the factory’s tea estate. “I thank Bakeihwahenki and Bassajabala for understanding and implementing the gospel of wealth creation. Tea production has gone up. 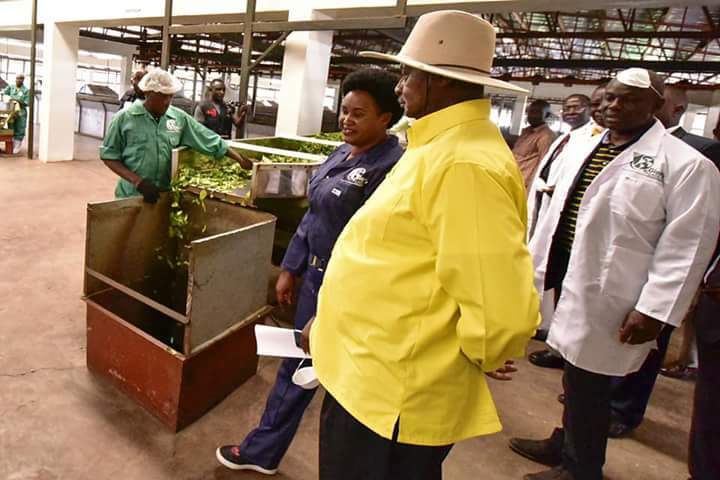 From one factory, you can now get the total tonnage of the amount of tea Uganda used to produce when the NRM had just come into power,” the president said. He later visited Bushenyi Demonstration Farm in Mazinga village run under the management of Edmund Bashaasha. According to Mr Bashaasha, the facility has been used to teach the youth how to implement the four-acre model of farming and also provided inputs such as seedlings, poultry and cattle. The President donated a truck to the farm to help the youth transport their produce such as eggs to the various markets including the Democratic Republic of Congo.